These dreamy music not to change forever ticking away everlasting time more to be beautiful is merely the album which I like for 20 several years. I have used the jacket in work as a design of the trial manufacture by this record in those days several years before a considerable favorite. 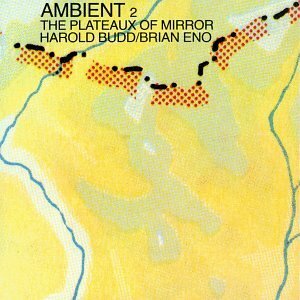 Melody itself of Harold is very simple, but treatment of Eno changes a tone complicatedly, and it sinks into a heart pleasantly (or for depression). 4, 7, 10 used in the particularly past new school of drama are not forgotten.